Picture a mighty 7-ton African elephant charging toward you. Trunk outstretched, eyes dilated, massive post-like legs pounding the earth. The ground shakes under your feet—a deafening trumpet blast pierces your ears—and there is nothing between you and him but flat grass. Your heart beats wildly. How do you escape? What do you do? This would certainly get the adrenaline flowing. Did you know that animals far more fearsome and mighty than African elephants once roamed the Earth? I am not talking about the dinosaurs. Behold now behemoth, which I made with thee; he eateth grass as an ox. Lo now, his strength is in his loins, and his force is in the navel of his belly. He moveth his tail like a cedar: the sinews of his stones are wrapped together. His bones are as strong pieces of brass; his bones are like bars of iron. He is the chief of the ways of God: he that made him can make his sword to approach unto him. … Behold, he drinketh up a river, and hasteth not: he trusteth that he can draw up Jordan into his mouth. That’s a pretty spectacular creature: “the chief of the ways of God,” “he drinketh up a river.” Is it possible that such a beast used to roam the Earth with people? Or did the author just make up the story to illustrate a point? There are two prevailing views on what this creature really is. Young Earth creationists, those who believe the Earth is only 6,000 years old, say this passage proves that dinosaurs lived recently. They point out that the behemoth “moveth his tail like a cedar.” This, they say, indicates that the behemoth is most likely a sauropod dinosaur such as diplodocus or brachiosaurus—dinosaurs with long necks and gigantic tails. Yet this argument falls far short. Can you imagine Adam and Eve living in a world dominated by ferocious giant carnivores sporting jaws full of razor-sharp, banana-size teeth? Eden wouldn’t have been a very well-manicured garden if Adam were constantly hiding in caves to escape from being eaten. For that matter, imagine Job trying to farm or keep his crops and animals from being flattened by herds of stampeding stegosaurs or horned triceratops. It is not very logical that God would place puny man in a world overrun with packs of hungry velociraptors and predatory pterodactyls with 6-meter wingspans. What many creationists don’t understand is that the seven-day creation week spoken of in Genesis is really describing the re-creation of Earth after it had been destroyed. In Genesis 1:2 the word was should actually be translated became. In other words, Earth became without form and void (Hebrew tohu and bohu)—implying it was not always in this state of total disrepair. Geologists refer to this massive worldwide destruction as the Cretaceous extinction. But following this mass extinction event, geologists note something amazing about the fossil record. In newer rocks found immediately adjacent to these “Cretaceous” rocks, they find a completely new and different cast of characters. In these more recent deposits, they only find the fossils of modern-type animals like mammals and birds, as well as modern plants. KT boundary. 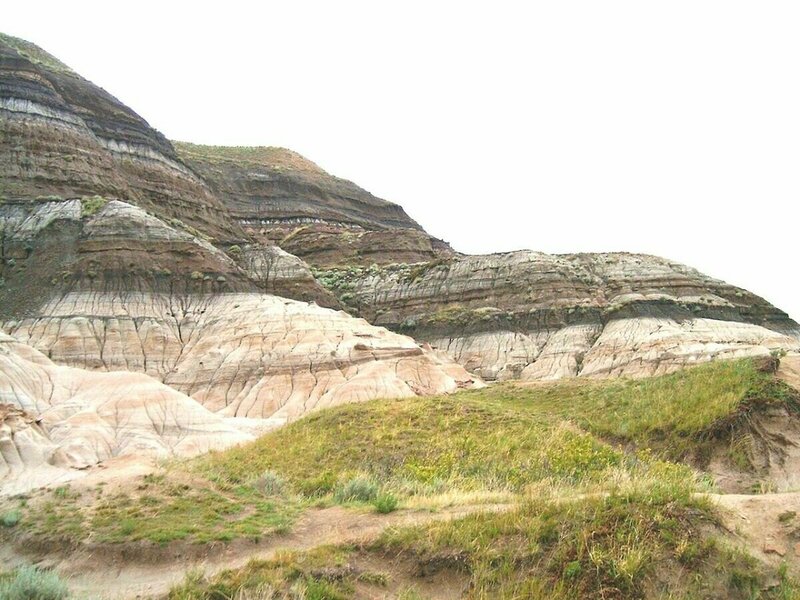 Badlands near Drumheller, Alberta where erosion has exposed the KT boundary. Paleogene above (darker), and Cretaceous below (lighter). It is as if the curtain were rung down suddenly on the stage where all the leading roles were taken by reptiles, especially dinosaurs in great numbers and bewildering variety, and rose again immediately to reveal the same setting but an entirely new cast, a cast in which the dinosaurs do not appear at all, other reptiles are mere supernumaries and the leading parts are all played by mammals. It is only in “post-Cretaceous” rocks that the remains of modern-type animals and man are found. Why is all this important? Notice Job 40:15: “Behold now behemoth, which I made with thee ….” The behemoth was an animal created at the same time as man. It did not exist in the pre-Adamic world that was dominated by the giant, reptile-like dinosaurs and other strange creatures. It was a unique creature created with man—for a specific purpose. Additionally, the description of the behemoth in the book of Job doesn’t really fit that of any of the dinosaurs that Young Earth creationists put forth. For example, sauropod dinosaurs are characterized by their almost comically tiny-looking heads perched atop extremely long necks. Scientists say their heads were so small that they were probably among the least intelligent of dinosaurs. Yet in Job, it describes the behemoth as having such a large head that, as the New American Standard Bible translates it, “If a river rages, he is not alarmed; He is confident, though the Jordan rushes to his mouth.” Sauropods, with their tiny mouths and long necks, would drink water in a way more like sucking water through a straw. Grasses and fruiting trees do not show up in the fossil record until the age of man because God created these plants specifically for man’s use (Genesis 1:29). 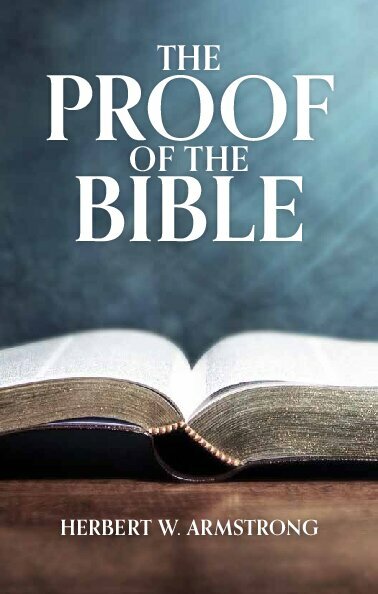 Genesis 1:11 says: “And God said, Let the earth bring forth grass, the herb yielding seed, and the fruit tree yielding fruit after his kind …” God specifically records the creation of grasses and fruiting trees during this “re-creation” of the Earth. Prior to this time, they did not exist. The geological record confirms it. There is one other problem with the “behemoth is a dinosaur” claim. There is not a single fossilized example of human bones being found with dinosaur bones. 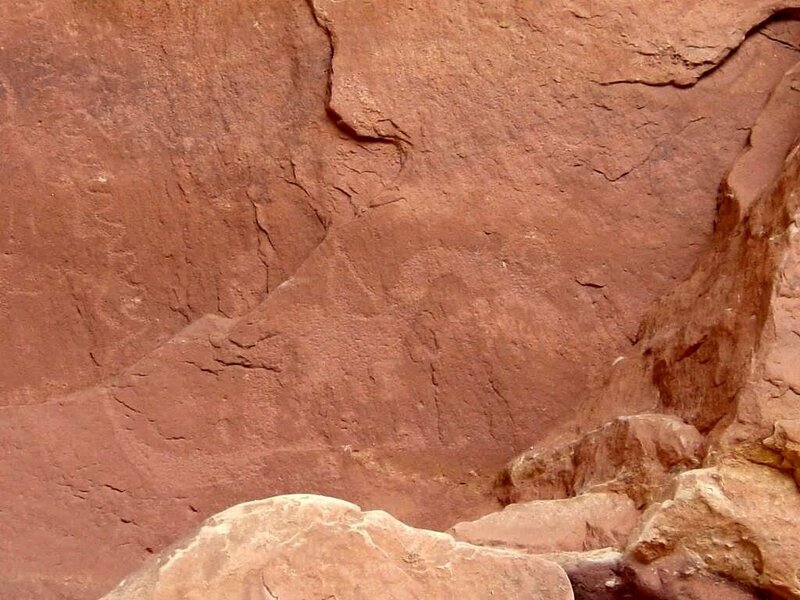 And as far as the purported petroglyph art in Utah depicting dinosaurs, that has been thoroughly disproven too. Many modern scholars and theistic evolutionists realize that the Earth is far older than 6,000 years. They know that dinosaurs did not live at the same time as man. These Old Earth believers also have an interpretation of the beast described in Job. Most of these Bible apologists say the behemoth—which, in Hebrew, literally means four-legged beast—is referring to an elephant, hippopotamus or crocodile. 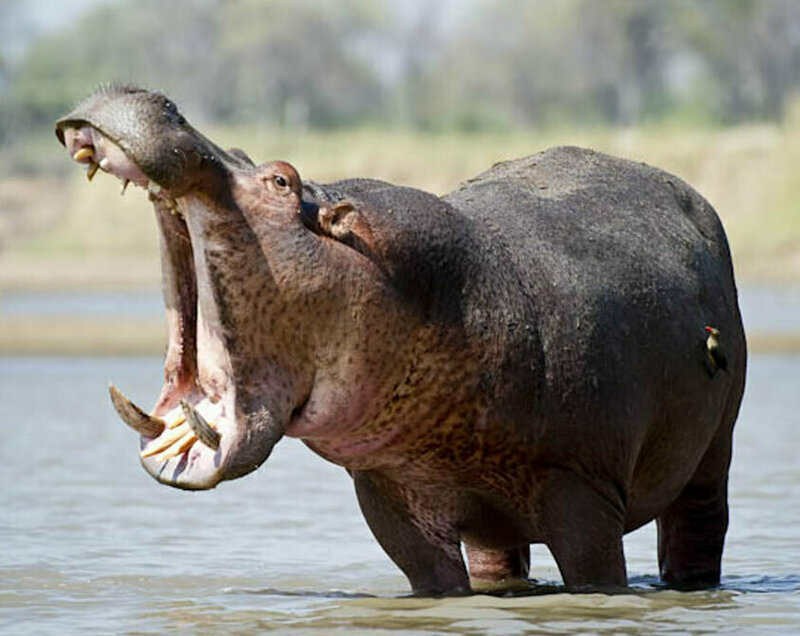 Those who favor hippopotamus do so because of Job 40:23, which talks about the behemoth’s huge mouth drinking up the gushing Jordan River. The gaping mouth of the hippo provides a pretty compelling picture. However, there are two problems with this theory, and they apply to elephants too. First, Job describes the behemoth as having a big tail that “moves like a cedar.” Hippopotami have short tails; elephants have small, weak, pig-like tails. Second, Job describes the behemoth as being so massive that man cannot control it. “No one can catch it off guard or put a ring in its nose and lead it away” (Job 40:24; New Living Translation). Verse 19 implies that it was too big for people living during Job’s day to kill. These descriptions could obviously not apply to any animals alive today. People have been hunting and killing these animals as far back as recorded history. There are ancient pictographs of Egyptians hunting hippos and crocodiles. And people have been domesticating elephants for work and warfare for thousands of years. But if the behemoth was not a dinosaur, and it is not an animal alive today, what could it be? In 1910, a British scientist was dumbfounded when he found massive bones from what appeared to be an enormous, previously unknown type of rhinoceros. The bones were so huge that they made elephant bones look small. He named the animal baluchitherium, which means “beast of Baluchistan,” after the province in Iran where he found the bones. 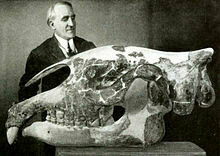 The creatures were confirmed to be an extinct, gigantic, hornless rhinoceros! And their description neatly fits Job’s description of the behemoth. For almost a decade, the creature remained an enigma because no further investigation was carried out. Then, after the end of World War I, additional discoveries began to emerge. A true picture of the beast of Baluchistan began to take shape. In 2003, a team of French scientists returned to Baluchistan to conduct further fossil hunts. The results were astounding. They found the complete remains of many male and female baluchitherium simply lying on the ground, which, according to one report, “was a quite rare event in paleontological findings” that suggested that “the massive creatures were swept away by a river [or flood] and had accumulated on the banks” (Dawn, Dec. 20, 2010). When the book of Job described the behemoth as “the chief of the ways of God,” so powerful that only “he that made him can make his sword to approach unto him,” it was no exaggeration. If the behemoth was the baluchitherium, it was probably the largest land animal that God made for man’s world. In an age when a 7-ton African elephant or 2½-ton hippopotamus seem big, the baluchitherium seems almost impossibly huge. This animal’s head averaged 1.5 meters long and had a gaping mouth, yet still does not appear overly large upon its body. Estimates suggest it stood 5.5 meters tall at the shoulder and 8 meters tall with its neck fully outstretched. From nose to rump it measured a whopping 9 meters. By comparison, the biggest elephant ever recorded stood only 4 meters at the shoulder; the tallest known giraffe measured in at only 6 meters tall. Based on its bone size and length, the baluchitherium may have weighed a gargantuan 20 tons—equivalent to about three African elephants. 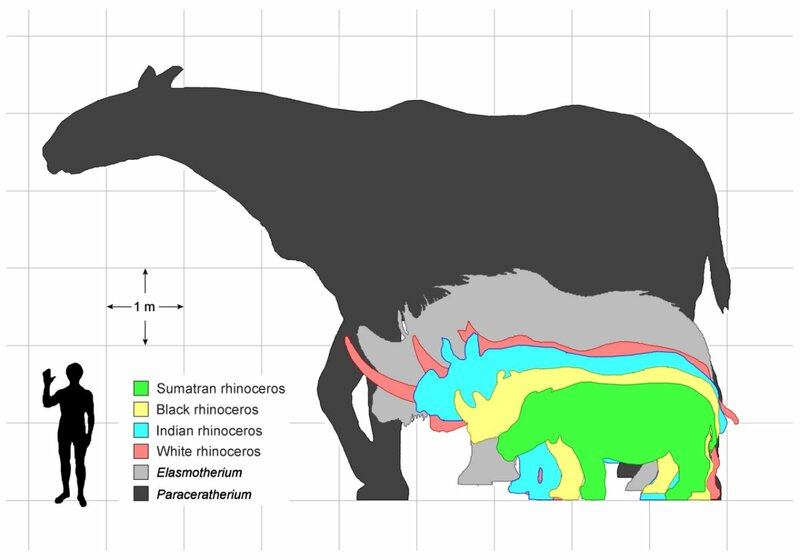 The baluchitherium is the largest land mammal that is known to have ever existed, and “represents about the maximum size to which a land-living mammal can develop” (The Illustrated Library of the Natural Sciences, Volume 2). Its long legs also probably made it faster than any elephant or smaller species of rhinoceros. This mammal was so big and strong that after adolescence, it probably had no natural predators. No animal could touch it. If it felt threatened, scientists say its defense would have been to charge at opponents and try to crush them beneath its massive weight. There is yet more evidence that the baluchitherium could be the behemoth of Job. “His bones are as strong pieces of brass; his bones are like bars of iron” (verse 18). The fossil evidence shows that the baluchitherium had huge, post-like limbs and bones, bigger than all other land mammals. It had a large 2.5-meter-long thick tail, aptly described as “like a cedar” in Job (verse 17). It is the only known mammal with a tail that approaches the description. Also, its possible habitat and diet, as noted by observing living rhinoceros species, matches the description in the Bible. Today you find species of rhinoceros inhabiting both savanna and mountainous ecosystems. They eat a range of foliage including grass, sedges, shrubs, ferns, submerged and floating plants, twigs, fruit and leaves of trees (see verses 15 and 22), just as the Bible indicates. The fact that some rhinoceros species eat aquatic plants indicates that the baluchitherium may have spent considerable time in rivers, which would have also helped keep it cool—and why the book of Job mentions it “drawing up the Jordan into his mouth” (verse 23). Then there is the fact that the description in Job does not mention any tusks or horns. Surely if it was an elephant, or regular rhinoceros, God would not have left out those dominant features. If it was a crocodile, wouldn’t He have mentioned its scaly skin, or sharp teeth? And if it were a giant extinct sloth, surely there would be a mention of its huge claws. No, the best candidate for the behemoth—at least so far discovered in the fossil record—is the “beast of Baluchistan,” the giant hornless rhinoceros. But why would God have created such an impressive animal? And what lesson was He trying to teach Job—and for that matter, all of us—with it? God was teaching a lesson in humility. In order to counter Job’s aggrandized opinion of himself, He wanted to show this man just how insignificant he was in the grand scheme of things. If you were alone next to an angry African elephant, surely you would feel quite small and helpless. How much punier and more terrified would you feel, though, if a behemoth were charging you? Would you not be inclined to seek God for protection? Would you not hurriedly repent of any wrongs? God used this largest and most powerful of all land mammals to help crush Job’s self-righteousness. God created this giant of mammals to humble people, who, like Job, let vanity swell their sense of greatness and importance. God recorded the behemoth in Scripture for a reason. He wants us to realize just how insignificant we are apart from Him. That is the lesson of Job’s behemoth. For an in-depth look at where dinosaurs, mankind, and even baluchitherium fit into the biblical timeline, as well as the general age of planet Earth, take a look at our article by Ryan Malone.